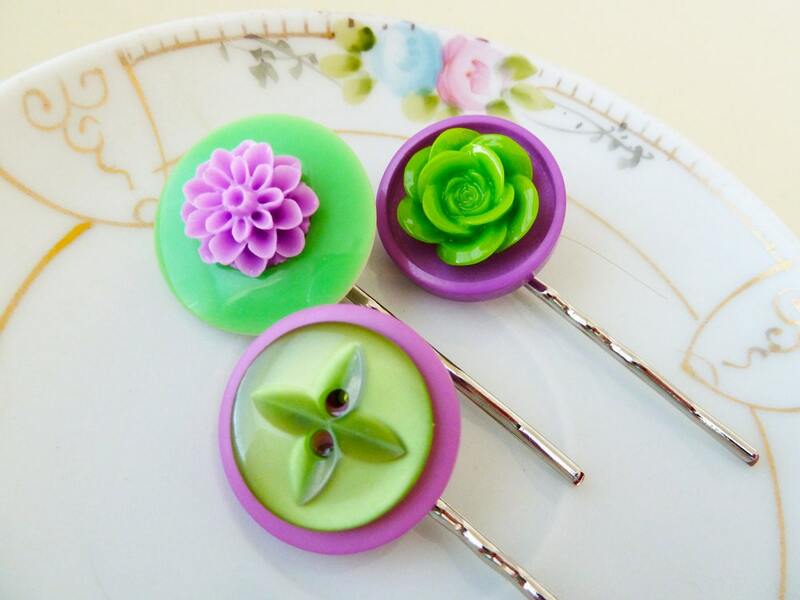 I have taken lovely lime green and lavender flower cabochons and paired them with sewing buttons for this vibrantly gorgeous hair pin set. The buttons may have some imperfect vintage charm to them. The adornments have been securely affixed to a 2" (5.1cm) silver tone pin with professional grade jewelry epoxy. 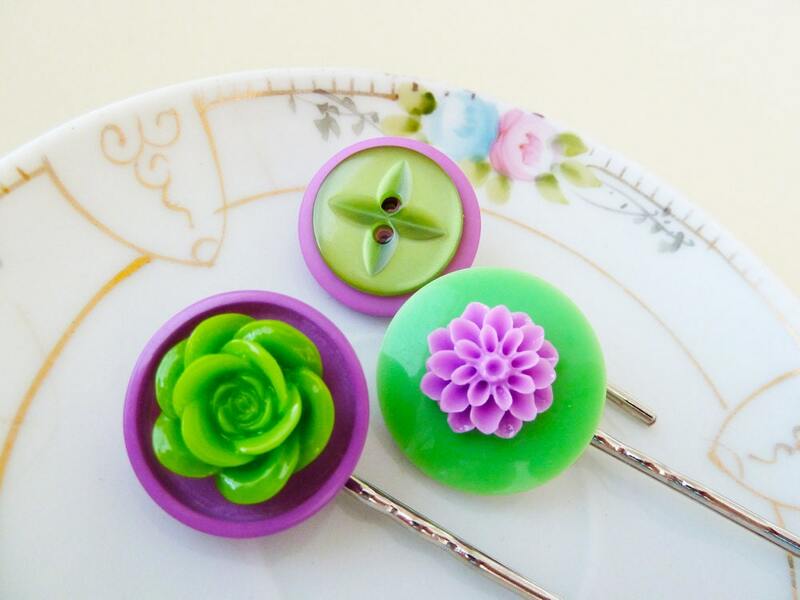 The button adornments measure between just under 1" (25mm) and just under 1.25" (32mm) in diameter. You are purchasing the hair pins you see in the pictures.